I get a lot of hand-me-downs from friends. Thank goodness because it saves me a TON of money! Caleb rarely gets to wear brand new clothes, but he doesn’t mind! That kid is one happy camper. He could care less what is happening… as long as there is action involved he is good to go. I was given a pair of blue Old Navy shoes that I LOVED but unfortunately are no longer available. I wanted to stock up for when he grows out of this current size. I did some digging online and found a great double!! Check out these Native Kids Shoes Miller which retail for $35! Love it! 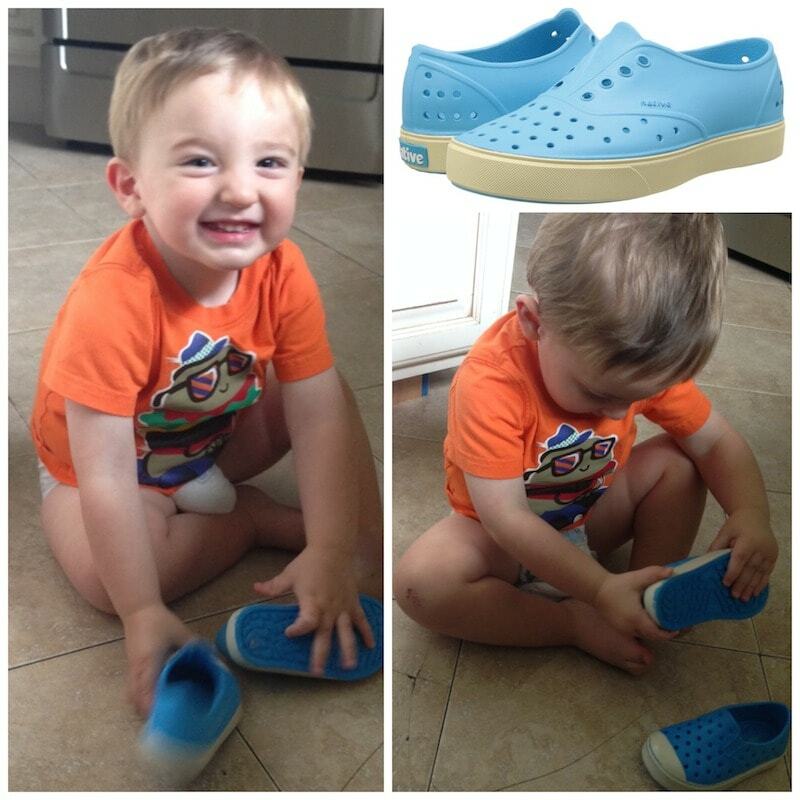 The shoes slip on and off, have a ton of holes to keep those baby feet feeling cool in the summer and are SUPER lightweight for easy play. Oh – and did I mention they come in fab colors like blue, orange, pink and green??? FUN!